Mrs. Hanan Janahi is a multifaceted lady, who has taken the power of social media to the next level. She was one among the Bahrainis who introduced the clout of digital marketing to the brands in the Kingdom, when social platforms were being considered nothing but a place to share clicks and chat with your friends. 9 Dots Events and Media, is one of her unique ventures supporting today’s digital marketing supplies of the nation. As Mrs. Janahi took few hours from her busy schedule to sit with BTW team and share with us her journey so far as a business lady, we felt fortunate indeed to have met an iron willed lady who believes that her secret of success lies in two words ‘Never Give-up’. “9 Dots, our organization name, is a globally well known game of dots and lines. The real meaning of it is to think out of the box. And that is what makes us stick out from our competition.” says Mrs. Janahi who is the current CEO of the firm. “Formed in 2009, 9 Dots had its first break through in 2011” she remembers. “It was the time when Bahrain market was at low tide and we had to take the risk. We successfully organized the Amwaj Triathalon – 2011 to support Bahrain’s Special Olympics team for their travel to participate in games that year. And Inshallah, we never had to look back.” She noted proudly. 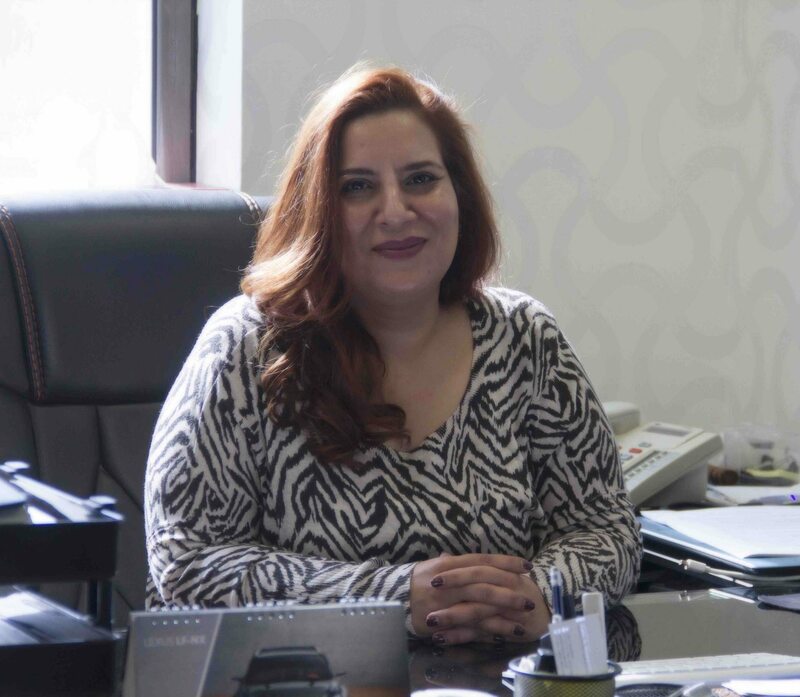 As successful she is as a business person, Mrs. Janahi is equally committed to her role as a socially responsible person. White Closet, the first venture (“my baby”) by Mrs. janahi, is a well known boutique located in Riffa with unique collection of dress and accessories designed by her and other women who can’t find space to display their talents. “Fashion designing is my passion and I like to encourage talent in Bahrain, who really need that extra support. I dream of owning my line of collections someday soon.” We could not miss the twinkle in her eyes, as she spoke about her zeal towards fashion & style. “Yes, and unlike Facebook, where you need to buy the advertising space or sponsors, it’s free when it comes to Instagram.” Mr. Mohamed adds in his reason why Instagram is an instant hit with Gulf. “There is always success and failure in business. It’s all about not giving up and having the will power to take the risk.” Mrs. Janahi had her words of wisdom for the upcoming entrepreneurs of the Kingdom before hurrying up to plan for the next event that awaits her approval.